Goodreads Synopsis: Five strangers. Countless adventures. One epic way to get lost. 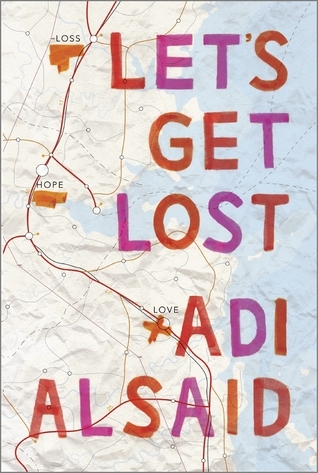 Let's Get Lost by Adi Alsaid was the type of book you want to read in the car or like on a road trip to get the feel of it. I enjoyed reading Let's Get Lost and I definitely could relate to the characters and the whole story. It was moving and eye-opening and a book everyone should pick up! One thing that struck out to me was how the book was divided into 5 parts. The main character, Leila is one her way to see the Northern Lights. Along the way, she manages to get into other peoples' lives. First she meets Hudson, a young man searching for romance. Then she meets Bree, who is always off doing crazy things to seize the day. Third, she meets Elliot, a young man that what about to have the best night of his life. Then lastly, Sonia, a girl who lost the feelings to love. 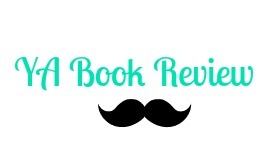 Alsaid weaved such a moving book, I enjoyed reading about each character's story and how Leila helped them. Each character had their own story to tell and I think any reader could relate to anyone. I disliked how at times the book moved Incredibly slow. Like honestly, some points were just plain boring and I was expecting it to be a bit faster. Especially in Sonia's story. While some stories were well-written, Sonia's was especially bland and boring. I definitely loved reading Elliot and Hudson, they were very authentic and relatable - the two things I look for in a book. I liked this one a little more than you did (as in I loved it haha). The way it was told was my favorite thing about it but I was easily absorbed in the different stories! I can't wait to check out his next book now!